Everyone's on some kind of diet these days. Why don't we just call it a lifestyle of eating real food? 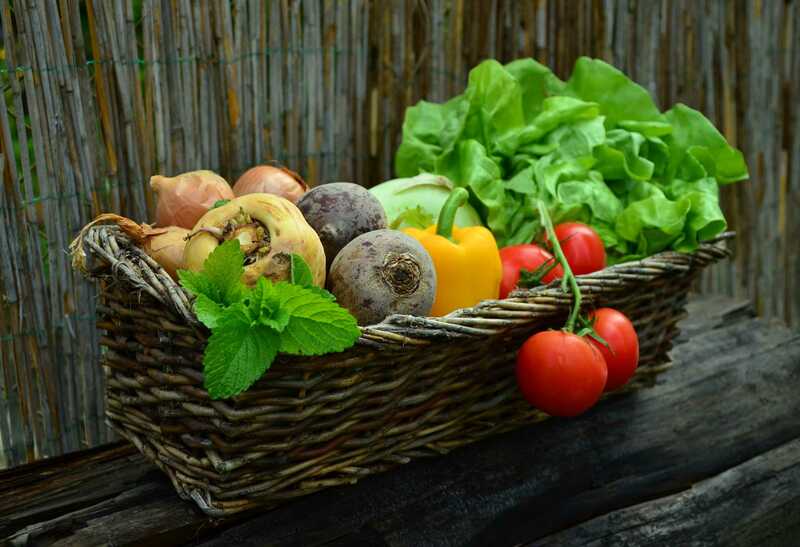 Real foods like fresh vegetables, fruits, whole grains, healthy fats, and organic grass-fed meat are the basics of this real food lifestyle. Whole foods are food that have not been processed or refined and is free from additives or other artificial substances. They are direct from the farm or the butcher left in their natural state. I love the summers here in upstate NY for all the farm stands and fresh produce. Growing my own food has been something over the past few years I have thoroughly loved and enjoyed cultivating. Planting seeds into the soil and watching them grow and all the work in between. But when at last all the hard work pays off and we get to harvest so many edible goodies my fridge will hardly close. I tend to make a plethora of veggie concoctions on the regular with all the garden produce. My boyfriend usually won't eat another green bean until winter. I swear all that produce tastes so much better than store-bought. I add as many different varieties of colors and types of foods as part of my healthy lifestyle. They all have different nutrients so why not eat all the colors of the rainbow. There is so much packaged junk out there that the American diet consumes daily. Cereals made with sugar and flour and lots of other additives, packaged baked goods, and microwaveable dinners, granola bars with so much sugar and unneeded fillers to make us addicted to them. Vegetables and fruit in a can are full of syrups and salts to preserve them. Why not just buy the whole plant and eat it as it was intended to be? Processed food and sugar do nothing but wreak havoc on your body. Just read your labels when you purchase anything packaged. Not to go into the effects all the junk have on your body, but just a glimpse of this, sodium causes bloating, acne, hypertension, swelling; Sugar causes inflammation, cancer, heart disease, and the list goes on. Cutting preservatives entirely from your diet may be difficult. However, reducing them as much as possible can be beneficial for those who want to avoid chronic health conditions. A friend told me the other day, her grandparents are 80 years old and she asked them what keeps them so healthy. Their response was that they cook all their own food. Anything you get outside of our own cooking may be filled with lots of fillers, salt and who knows what else. Not to say I don't go out to eat sometimes but the majority of my meals are real whole foods made in the kitchen with all different kinds and varieties of vegetables, fruits, meats and healthy fats. God made food to nourish our bodies, not make us sick. 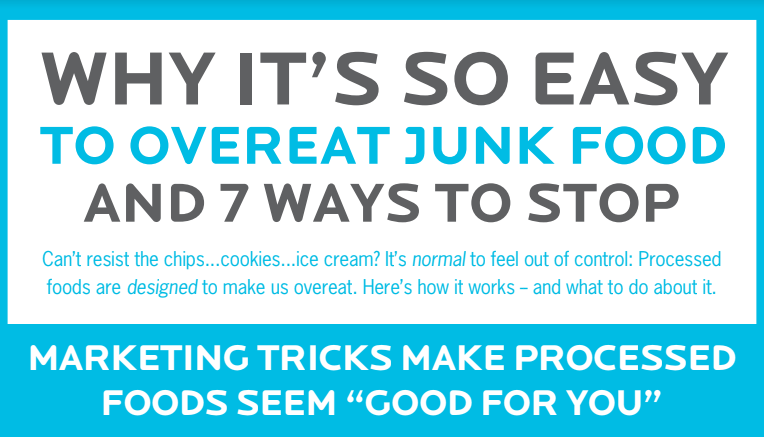 You can view a cool chart of "Why it's so easy to overeat junk food" here. Thanks, Precision Nutrition for this great chart.